The Reverend Dr. John A. Cerrato is our priest. He began his ministry in Saint Martin’s Parish Church in 2014. He has previously served in parishes in Delaware, Pennsylvania, New Jersey and Massachusetts. His ministry among us includes pastoral oversight, facilitating communication and organizational initiatives. He is a past rector and dean, as well as a teacher. He is the principal celebrant and often the preacher in our services of worship. He sees his focus in our parish as Christian formation and education. He is an alum of Harvard and Oxford and is also a writer and retreat leader. He lives in the village of Chagrin Falls. The Reverend Gary A. McElroy shares in the pastoral care ministry and liturgical leadership of Saint Martin’s, also worshipping with us when not serving as a supply priest in other parishes for the diocese. Gary is a professional counselor, a vocation he undertook until retirement. He is an alum of Columbia University, Berkley Divinity School at Yale and the University of Illinois. He studied in Oxford on a fellowship and has worked as a college chaplain. He is a past chairperson of the Diocesan Commission for Racial Understanding. 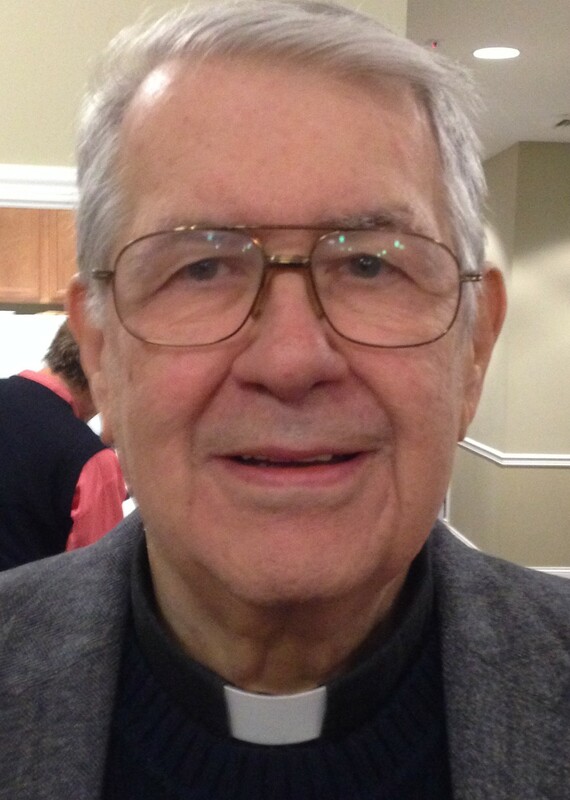 In 2014 Gary celebrated the 50th anniversary of his ordination to the priesthood. Choir Director. Lyric Baritone Vocalist and conductor Timothy C. Cochran received his Master of Music degree from the Cleveland Institute of Music studying with Irvin Bushman, and a Bachelor of Arts degree from Indiana University of Pennsylvania. Tim has performed lead roles in Il Barbiere di Siviglia, Die Fledermaus, Carmen, Hansel & Gretel, The Telephone, Riders to the Sea, The Mother of us All, Amahl & the Night Visitors, HMS Pinafore, The Gondoliers, The Mikado, Pirates of Penzance, Civilization and Its’ Discontents, Jacques Brel and the Ohio premiers of Ligeia and Regina. Tim was the Baritone soloist at Trinity Cathedral, Cleveland, where he performed major works with the Trinity Chamber Orchestra and Chorus. As Associate Director of Music at Trinity he conducted the Children’s Choirs, the Cathedral Choir, and the Trinity Chamber Orchestra. He performed with the Robert Page/Cleveland Singers, and the Mendelssohn Choir of Pittsburgh as a professional core singer. Tim was soloist in concerts with the Choral Arts Society under the direction of Martin Kessler performing works by Scarlatti, J.S. Bach and Handel. 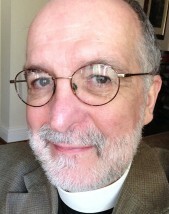 Timothy has also composed new works such as his Magnificat and Nunc Dimittis which premiered at Trinity Cathedral in 2004, and a Christmas Motet in 2005. He was the Director of Choirs at North Royalton United Methodist Church from 2013-2017. Tim is also the director of the Trinity High School Marching Band, and assistant director of the MusiGals women’s chorus. Our organist Renee J. Brown is a well-versed musician specializing in piano, pipe organ, harpsichord, and percussion instruments. She is fluent in performing various musical styles from the Renaissance to Contemporary Christian. She is familiar with the Episcopal, Catholic, Lutheran, Methodist, Presbyterian, and AME Zion liturgies. She is also experienced in teaching, conducting and rehearsing vocal ensembles. Renee holds a Bachelor of Music degree from Roosevelt University, Chicago, where she majored in Piano Performance and Pedagogy. From 2011 through 2017 she was organist-choir director in Alban’s Episcopal Church, El Cajon, California. She is currently a Science Teacher in the Cleveland Metropolitan School District, Cleveland (Teach for America). She has also served as a Music Teacher in The Music Advantage (after-school program), San Diego. She has taught private and group keyboard, flute, and string instruments in after-school programs, including music notation reading and instrumental skills. As a freelance musician, Renee has also played for weddings, funerals, graduations, in chamber and orchestral music settings, in classical recital accompanying, and for solo performance. Our Executive Assistant to the Rector is Michele Baskette, who joined our staff as an assistant in the fall of 2018 and now serves as our primary church administrator and support to the ministry of the clergy. Michele brings much professional experience from the corporate world to her tasks. She and her husband Bob are active members of Saint Luke Antiochian Orthodox Church, Chagrin Falls. Alfred KanagaRaj assists in the parish offices where he produces the weekly service leaflets and schedules servers. He is an alum of the School of Sacred Music at the Union Theological Seminary in NYC. Alfred, as a full-time Director of Music and Organist, directed multi-choir programs in churches in the states of New York and West Virginia. Twice he was invited to direct 50 voice choirs in India. He was the musician in Saint Martin’s Church from 1977-1996. He and Gladys live in Bainbridge Township. Maureen Bontrager provides custodial care of the buildings, including our worship space and the adjacent social meeting rooms, as well as the administration wing and undercroft. She is with us on a part time basis. She joined our staff in 2018.